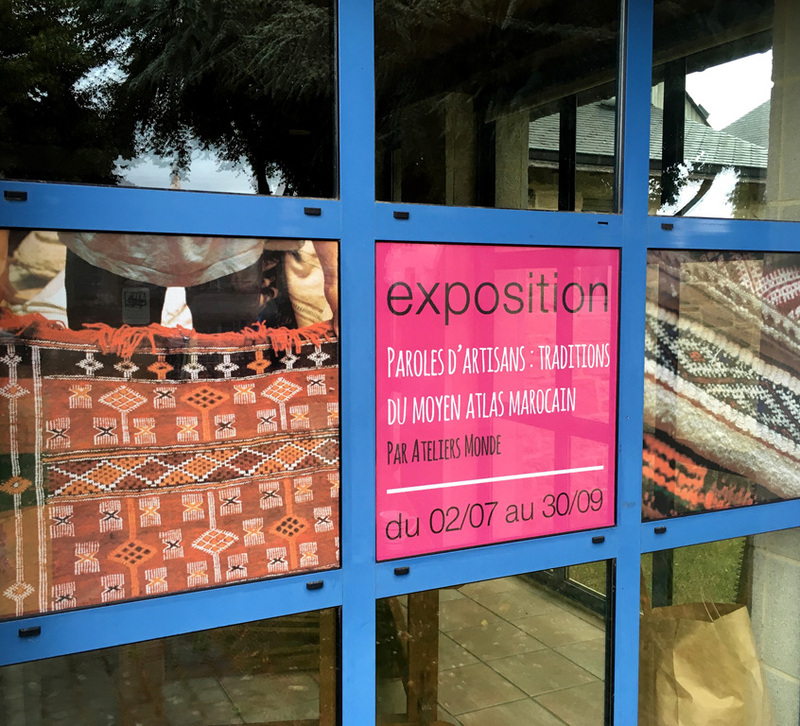 Tissus & Artisans du Monde is a documentary and research project supported by the non-profit Ateliers Monde, cultural production house to promote the “Made in World.” For the second consecutive year, Ateliers Monde has been invited by La Tisserie, textile museum of South Brittany to curate an original show. 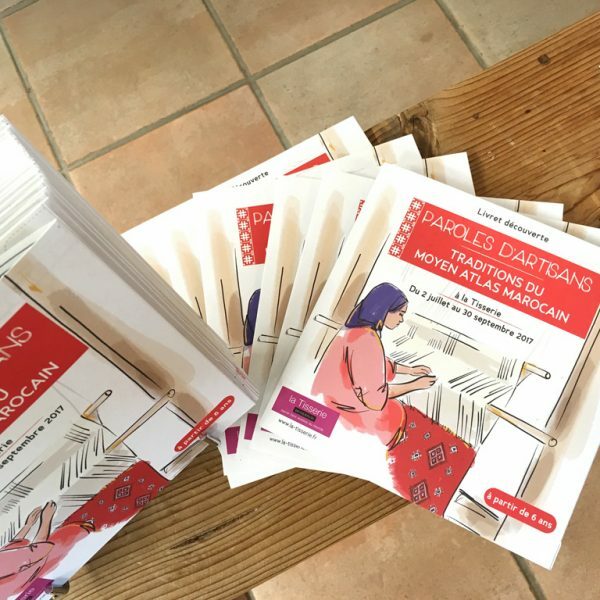 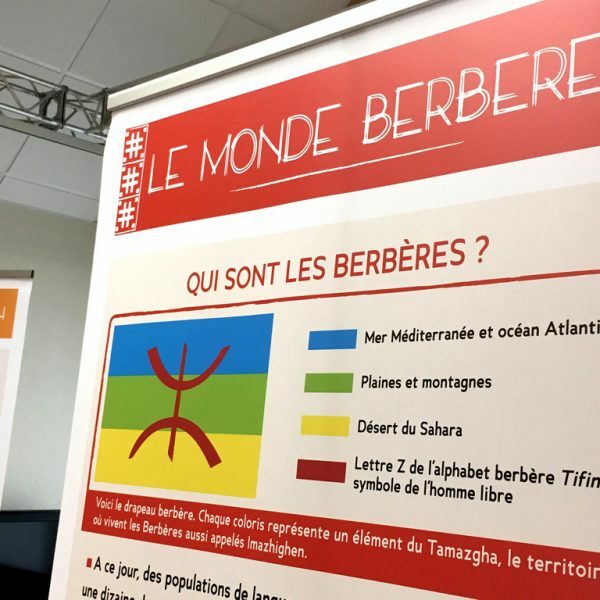 The webdoc’s Moroccan stories find a second life in Paroles d’artisans : Traditions du Moyen Atlas marocain which has opened at la Tisserie on July 2nd. 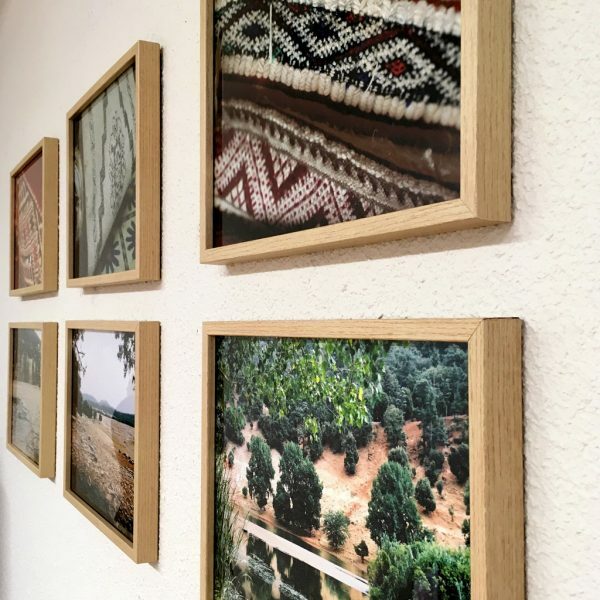 Visitors passing by the town of Brandérion will be able to discover stories of artisans who perpetuate ancient techniques in the Azrou area in the Middle Atlas. 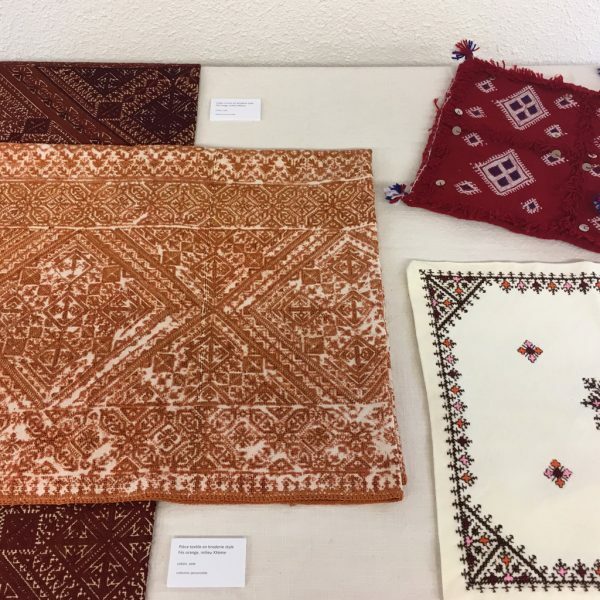 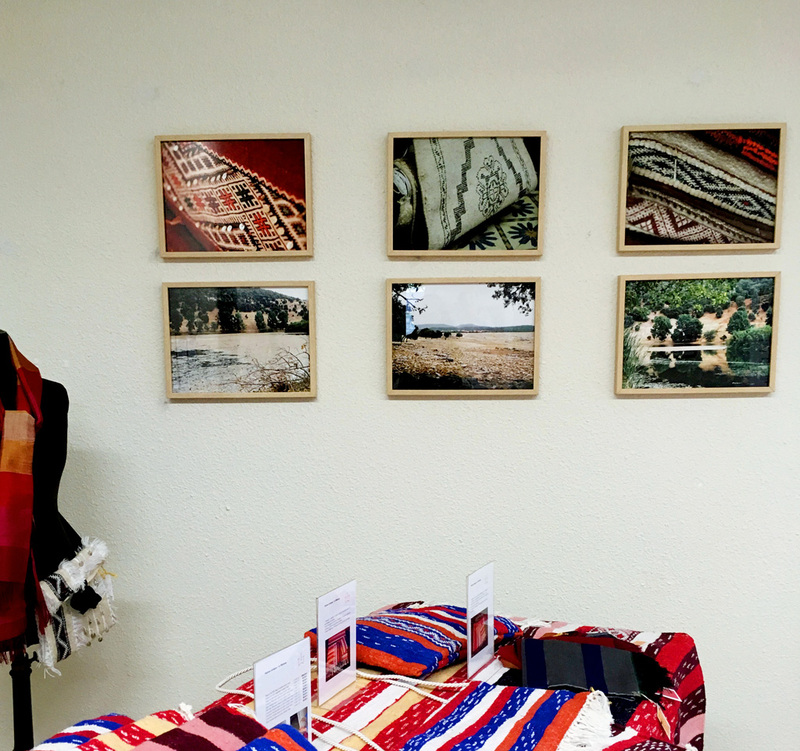 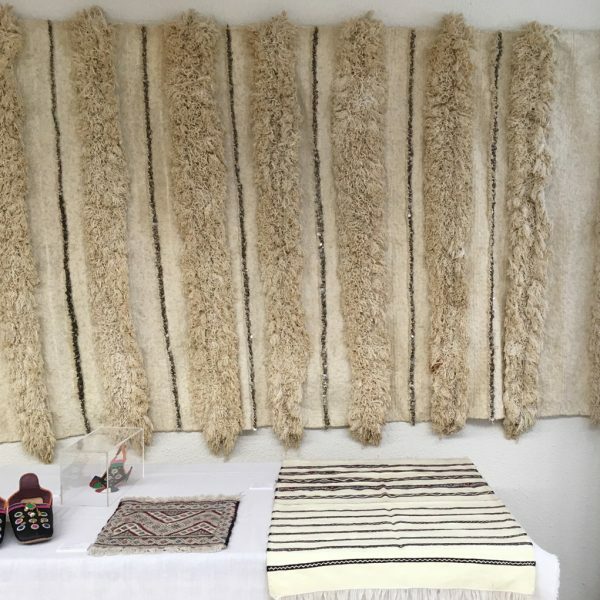 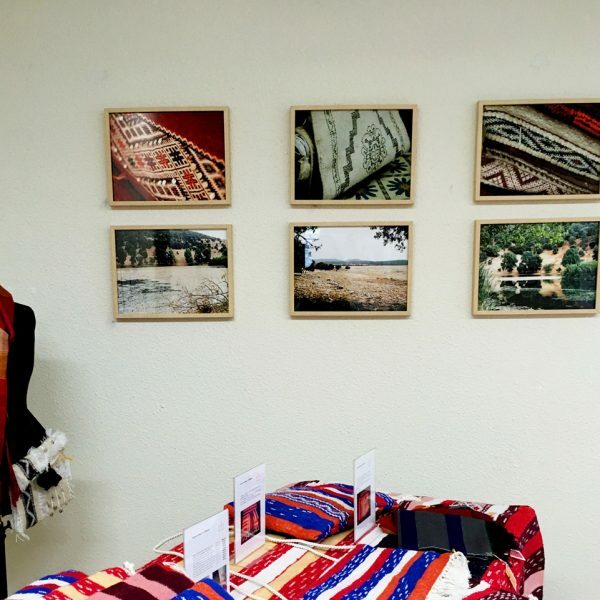 Fatima is a weaver from the Beni M’Guild Berber tribe ; the Ain Leuh women cooperative produce wool rugs ; Saïd is a traditional shoemaker in Azrou ; Abdou sells rugs in the souk ; and finally Hanene is an embroiderer in the Fez stitch tradition. 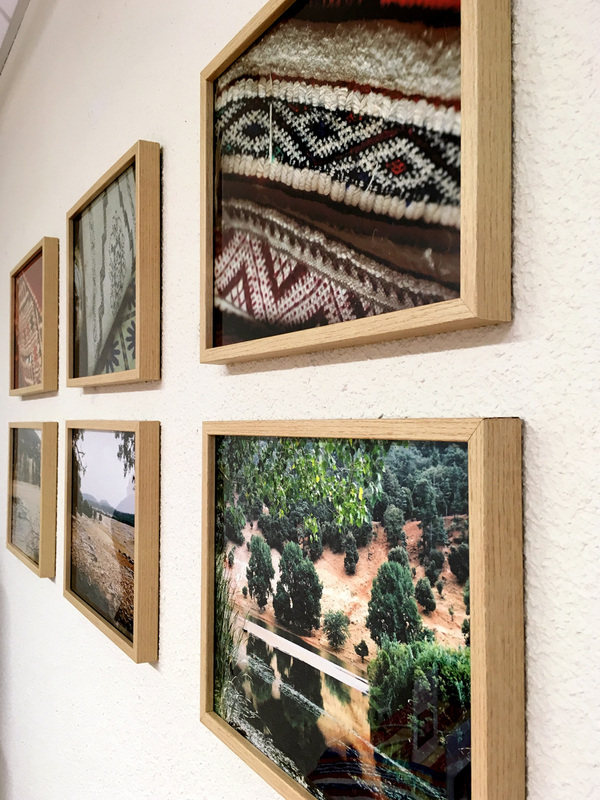 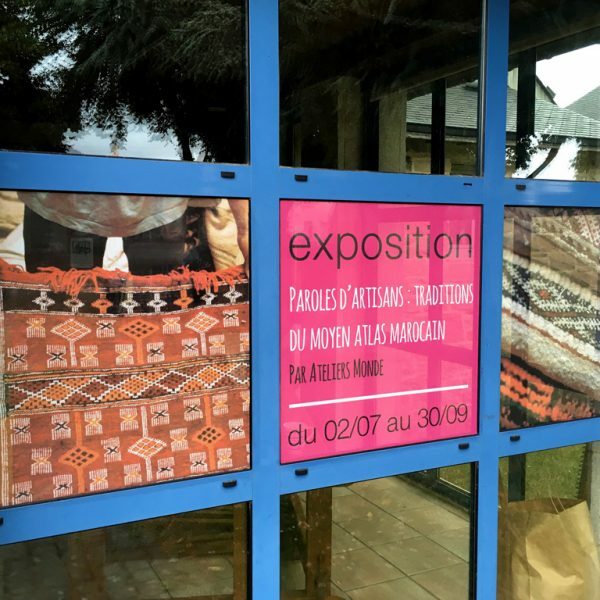 The exhibition shares their testimonies and highlights their unique know-how through a multidisciplinary display that brings film, photography, didactic boards, and textile pieces together. 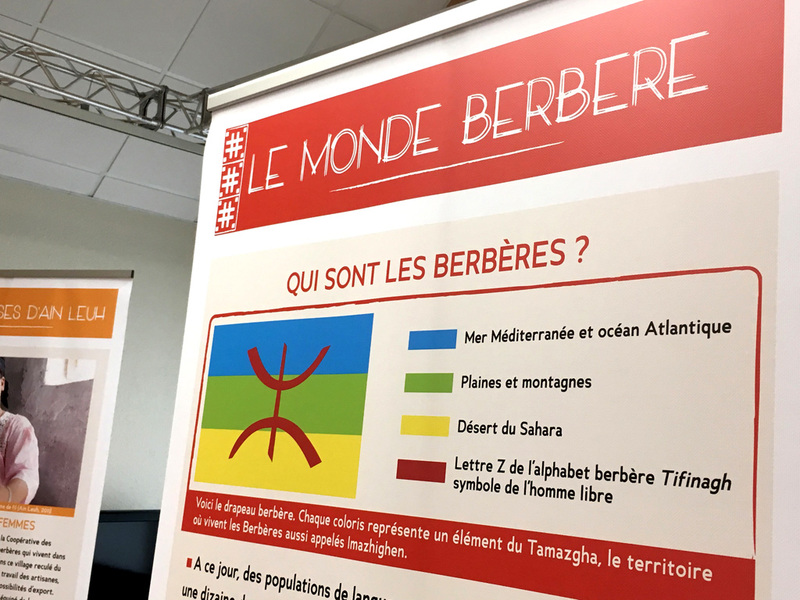 These paths transcribe the reality of these professions in an area rich in Berber crafts and traditions at the heart of Morocco. 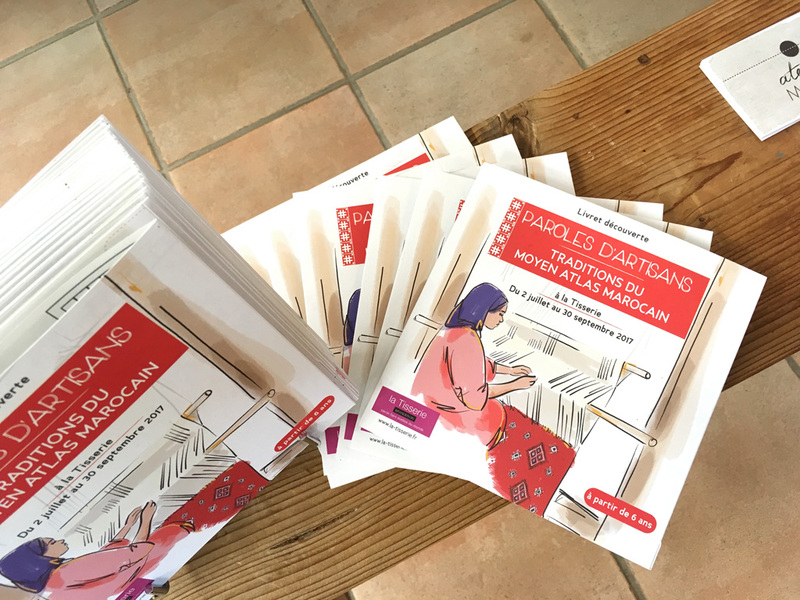 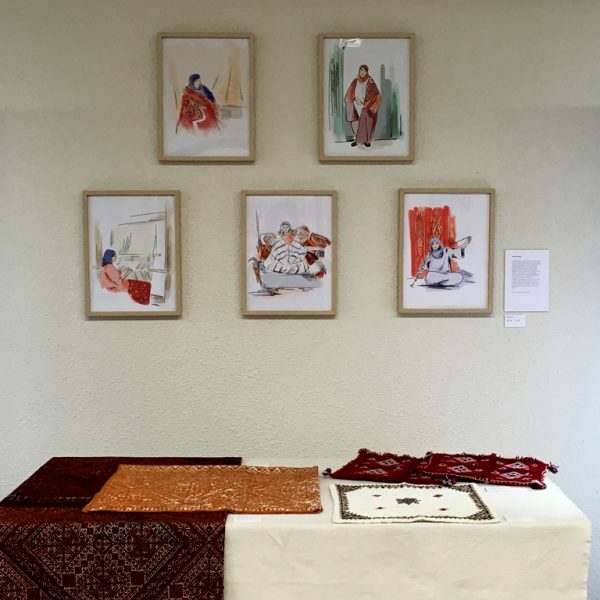 Ateliers Monde has also invited an illustrator and a textile designer to share their own vision of Moroccan textiles. 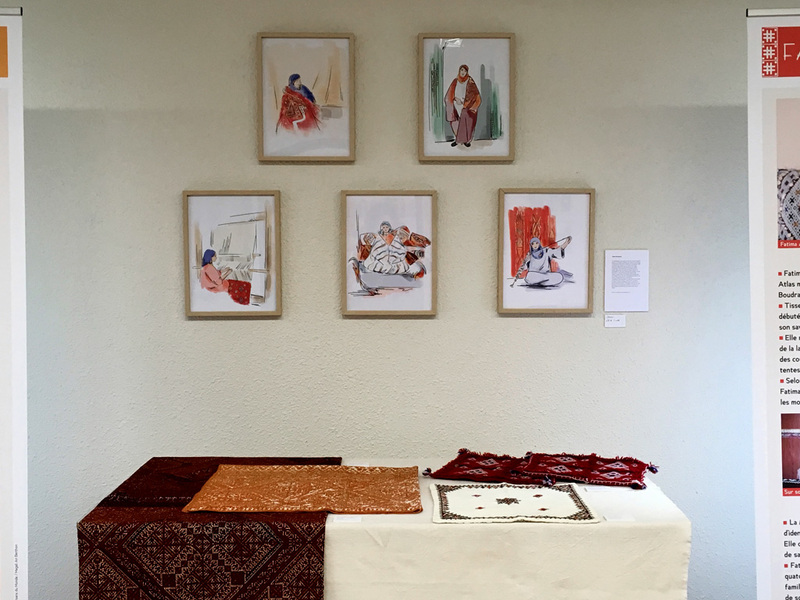 Cécile Rousseau offers her own painted interpretation of Berber craftswomen in delicate illustrations. 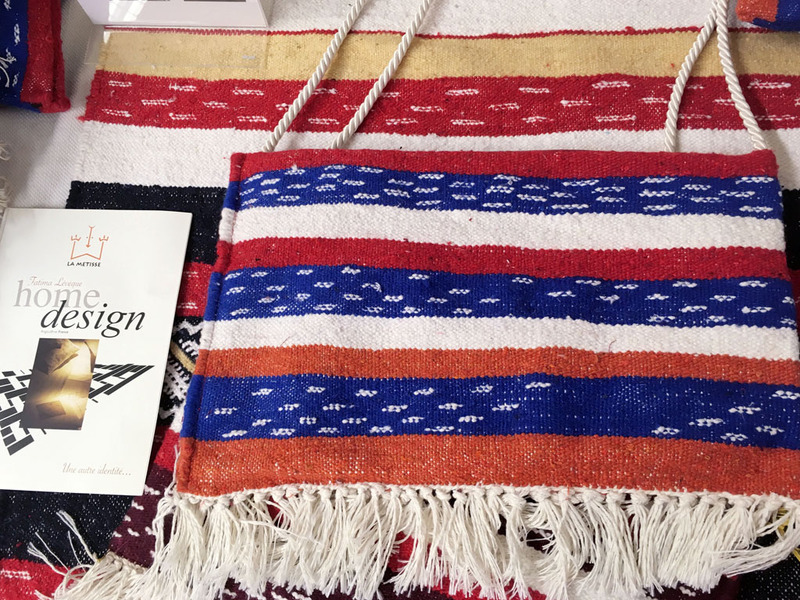 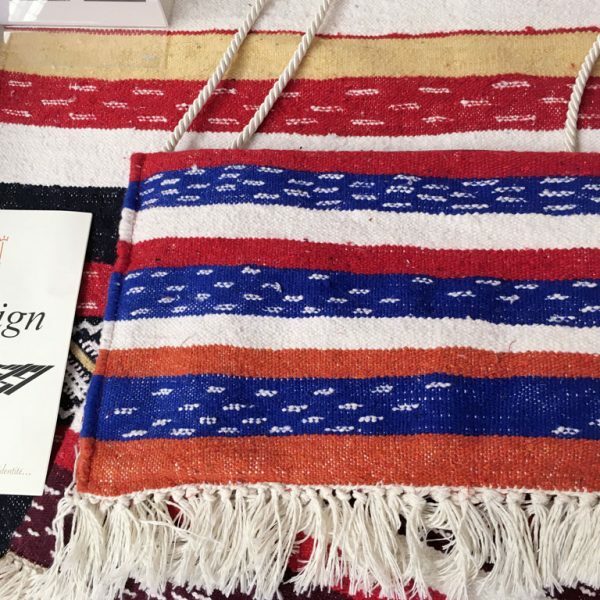 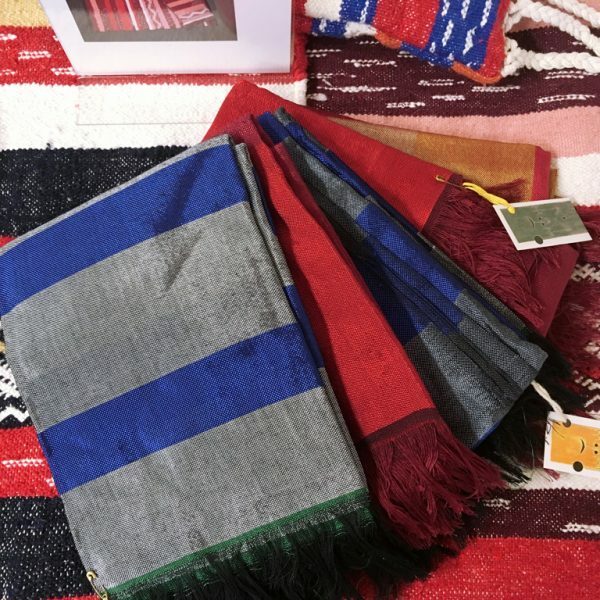 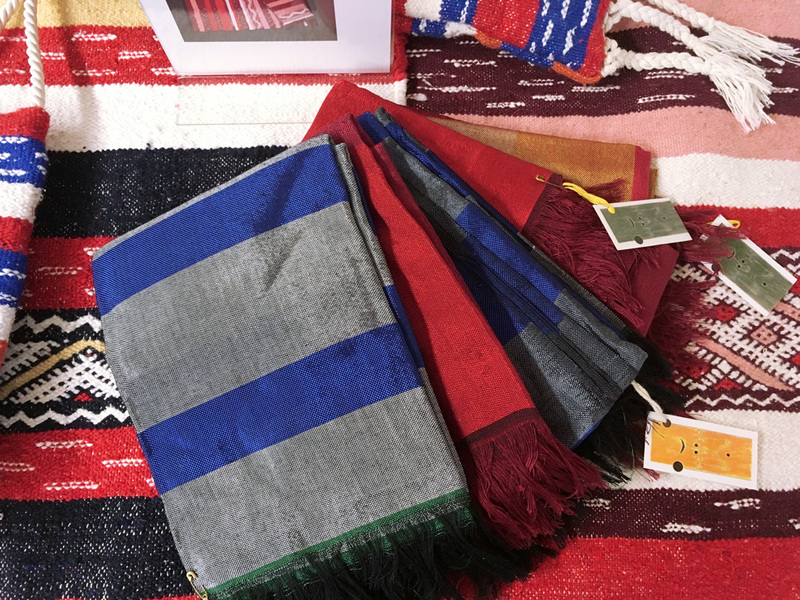 Fatima Lévêque, founder of the home textile house La Métisse, has developed a capsule collection of catchy home textiles and accessories made in collaboration with local weavers. If you ever live in the area or if you are going to Brittany during summer, please add La Tisserie to your itinerary!